The City of Encinitas has installed additional signs on Lone Jack rd. to alert vehicles when horses are crossing the road. 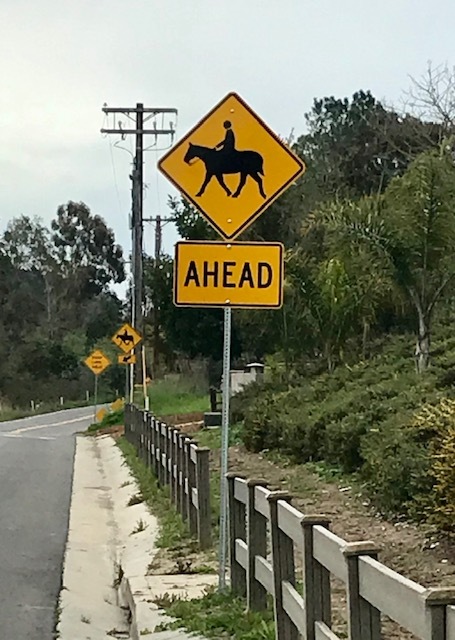 The new signs are about 50 yards ahead of the crossings and show the “Horse Crossing” but also include a smaller sign beneath with the word “Ahead”. Hopefully this will make crossing on this busy road safer. Newer PostNorth Entrance to Spooks Canyon is now Open.